BRIDGES PÉCS 2010: Registration is open! 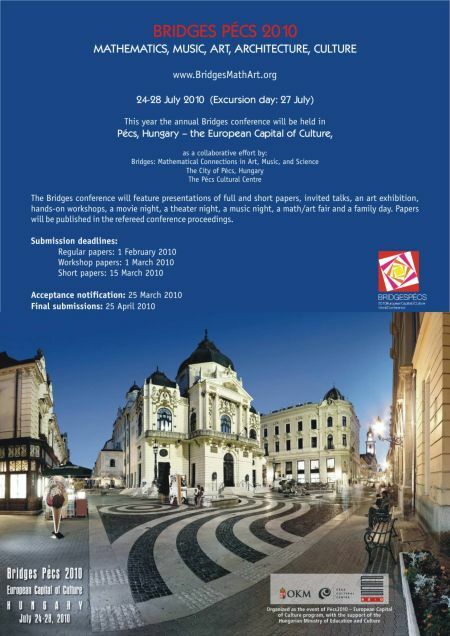 In 2010, Pécs - the European Capital of Culture - will give home to the Bridges World Conference - Mathematical Connections in the Arts, Music, Sciences and Culture. This event of the arts and sciences, drawing hundreds of participants and enormous audiences, began in Kansas, USA in 1998, and since then has been organised in a different country in the world each year. 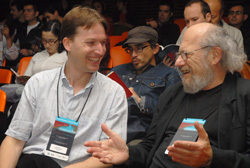 The aim of the conference can be found in its name - it aims to show the connections and "bridges" between the arts and sciences, and to make the wide array and possibilities of mathematical logic and thinking more popular through interesting cultural activities. Participants of the event include mathematicians from the world′s leading universities, artists, professors, researchers, musicians, computer experts, sculptors, dancers and representatives of companies specialising in the development of special educational equipment. The program will include events open to the public, such as exhibitions, interactive workshops, playful educational demonstrations, concerts, mathematical theatrical performances and a family day. Bridges Pécs 2010 - the first Bridges World Conference to be organised on the eastern half of the globe - provides an outstanding opportunity for the artists and scholars of the region to strengthen international professional ties and to introduce their professional practice to a wide, public audience. The tendency for the outcomes of the arts and sciences to mix and cross-over in Pécs has a history dating back to a few hundred years, which continues on to this very day. This is why it is of symbolic value, that the Bridges World Conference, whose foundations were laid by the Pécs Ars GEometrica International Convention and Workshop, will be organised in Pécs in the year of 2010. The speakers of the conference will also prepare interesting games and demonstrations in open-air sites, which can be enjoyed by the general public as well. This will take place within the Bridges Family Day, within which children, young people and adults alike can try out different games related to the main theme of the conference. There will also be an exhibition displaying the works of the participating mathematicians and artists, which can be viewed during the time-span of the conference. The meeting will take place during the touristic season, which will provide a great opportunity for the city of Pécs to test its local possiblities for conference-tourism, alongside which the members of the Bridges Organisation Team can search for opportunities to collaborate with local research teams, organisations and key industrial persons in relation to scientific and aesthetic design, and the development of research-based products. A project co-funded by the Pécs 2010 - European Capital of Culture program. With the title of "The Self-interpretations of Hungarian Studies", the lectures of the 2nd international conference for PhD students was published by the International Association of Hungarian Studies. The selection was edited by István DOBOS and Sándor BENE. Please find my lecture (FENYVESI Kristóf: Genealógia, kultúra, tudomány. Az önmegfigyelés megfigyelése és a magyarságtudományok / Genealogy - Culture - Science. The Observation of Self-observation and the Hungarian Studies) here, and the Book here. 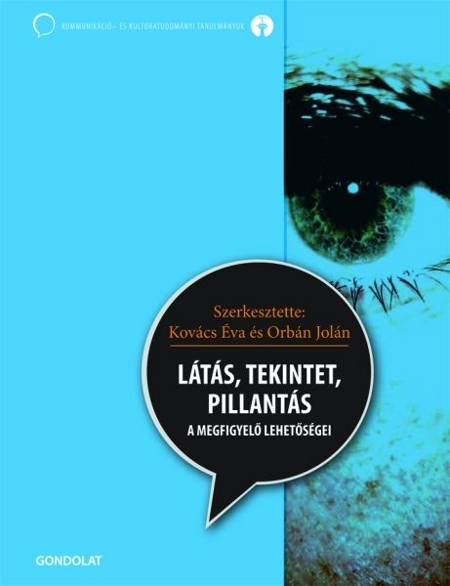 Seeing - Gaze - Glance, Gondolat Publishing House, Budapest, 2009, edited by Éva Kovács, Jolán Orbán, Veronika Kasznár. Book-show: 10 December 2009, 6 pm, House of Arts and Literature, Pécs city, Hungary. 2009 november 5: AVATARES DE LA VIDEOCULTURA - politicas de la percepción en un mundo devenido imagen Conference organized by the Universidad Católica de Valparaiso, Valparaiso, Chile. My lecture: "There is still no easy way to be democratic: digital storytelling in the digital age in Eastern Europe"
2009 november 2-4: International Conference NIETZSCHE AND THE BECOMING OF LIFE. Institute of Humanities, Diego Portales University, Santiago de Chile, Chile. The conference featured 81 papers distributed in 9 plenary and 21 parallel sessions by some of the most recognized Nietzsche specialists coming from over 20 countries. My lecture: Body, epistemology and interpretation. 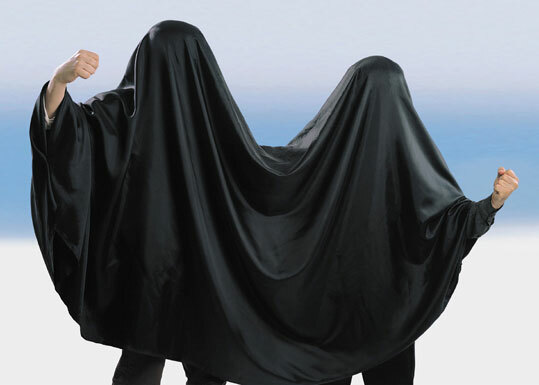 The "corporeal unity" of Friedrich Nietzsche′s philological, philosophical and physiological investigations. The Homepage of the Conference is here and my abstract is here.